Hi, I’m Amanda, owner of Happy Buddies. From the day I was born, I have always had dogs in my life. I love being around dogs and it seems the feeling is mutual! For me, when I am around dogs, I am at my happiest! 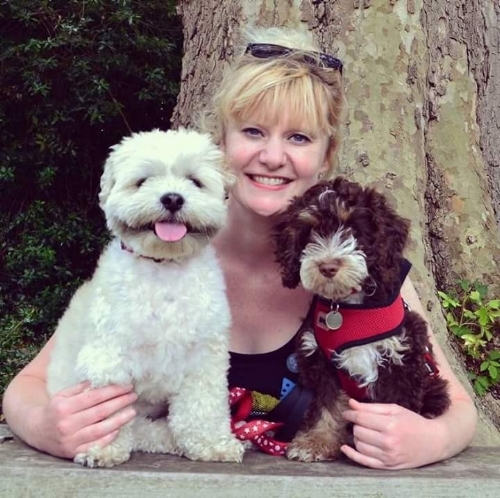 Dogs are a big part of my family life and as a Dog Trainer and experienced, Professional Dog Walker they also play a huge part in my working life. I am a member of the Association of Pet Dog Trainers (APDT), a Registered Animal Training Instructor with the Animal Behaviour and Training Council, ABTC) and a member of the Pet Professional Guild (PPG). This is probably my favourite quote as it rings so true with me. I have two dogs of my own (Buddy, a Lhasa Apso and Fudge, a Cockapoo) and train in both Obedience and Agility, the latter of which we compete in. The bond I have with my two dogs is fantastic and a lot of that is down to the time I spend training them as they love to learn and training is a great way to build on an already special relationship! Dogs, once wild animals, have through the process of evolution become man’s best friend; a loyal companion and the world’s most popular pet. Whilst dogs descended from a common ancestor of the wolf, the similarities between them now are few and far between. Artificial selection produced the modern domestic dogs of today and the breeding boom of the 19th century has played a huge part in the variety of breeds that currently exist (over 340 recognised breeds). With the new deliberately bred crossbreeds like the Cockapoo’s and Labradoodle’s, these variations are sure to continue, especially as our focus has moved from creating the perfect working dog to those we now wish to have as family companions. With so many breeds and variations, it is important to recognise each dog as an individual and that’s just what I do at Happy Buddies! I know that dogs, much like us have feelings and emotions. They have senses and learning preferences. They can be happy, sad, stressed, frustrated. Much like us, the environment they are born into, their upbringing and factors that surround them in life will dictate their personalities, feelings, thresholds, and abilities to learn. Dogs are social creatures, they love company and it is important that their human interaction whilst at Happy Buddies is as much a part of their time as it is with the other dogs around them. At Happy Buddies, all animals in my care, whether that be during training sessions, on walks or during Home Pet Pop In’s are looked after to the highest standards. Their individual personalities are catered for and their physical and emotional wellbeing is of the utmost importance to me. I do not believe in the ‘dominance theory’ nor do I assume an ‘alpha role’ with any dog – both these methods have now been proven as flawed, outdated and debunked! I want the dogs and other animals in my care to trust me, want to spend time with me and enjoy themselves while they are with me. I achieve all this through getting to know them, learning about them and watching their body language. 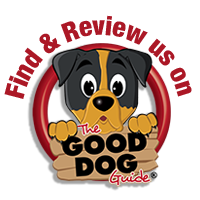 I train, play and interact with them using only positive reinforcement and reward based methods, which is proven to have excellent results on both a dogs behaviour and wellbeing. At Happy Buddies there is NO pain, NO force and NO fear just FUN, HAPPINESS and KINDNESS! I keep my knowledge refreshed and current by attending courses on dog training and behaviour and the theories behind it, reading new literature, watching webinars and following other well known and successful, dog trainers/behaviourists. I also keep up to date with Dog Law and Legislation. 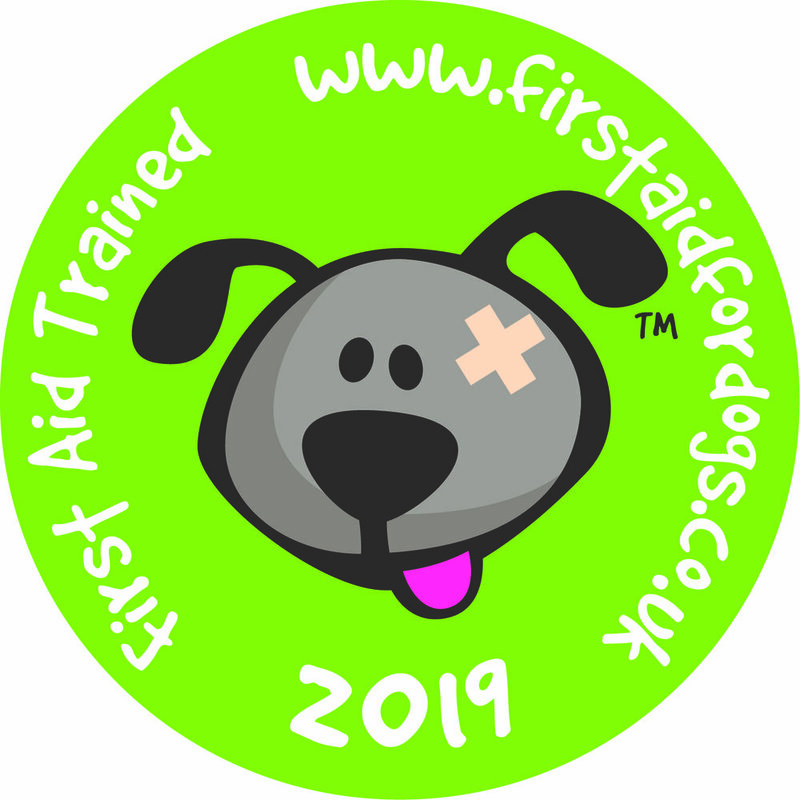 I have an up-to-date certificate in First Aid for Dogs. I am fully insured by Cliverton for all Training, Dog Walking, Home Pet Pop In and Dog Photography services. My insurance includes Public Liability, Professional Indemnity, Care, Custody and Control of Animals and Pet Taxi insurance. I am Police Checked (Disclosure and Barring Service – DBS cleared). I will happily provide evidence of all the above during an initial consultation. I am a member of the Association of Pet Dog Trainers, APDT, a Registered Animal Training Instructor with the Animal Behaviour and Training Council, ABTC and a proud member of the Pet Professional Guild (The Association for Force-Free Pet Professionals). 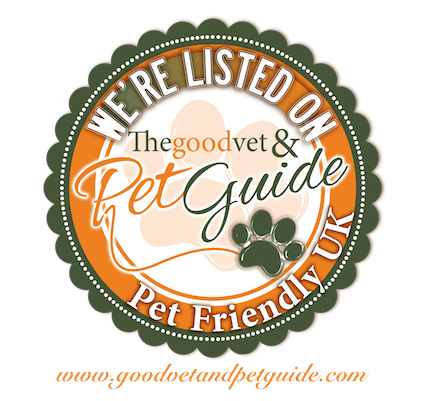 So whether Happy Buddies can help you with your training, dog walking, home pet pop in’s or dog photography, you can be sure that your furry companion will be looked after and will want to come back for more!